The Pawleys Plantation Golf and Country Club is a reflection of plantation golf at its best. This Jack Nicklaus Signature designed course opened in 1988, and features an 18-hole course with a slope rating of 140, and moss-covered tall oak trees hovering over the landscape. Traditional golf design makes Pawleys Plantation Club a golfer’s haven. This historical site is a must play and is deemed to be one of the most prestigious golf courses along the Grand Strand. This Lowcountry setting affords golfers the ability to experience southern charm as they golf in Myrtle Beach, SC. Nicklaus created the course with no shot the same. Skillfully positioned undulations, cunningly placed bunkers, and an abundance of water hazards adds the bells and whistles to Pawleys Plantation. Golfers must play with a keen eye and strategize every shot since this course demands concentration. TifEagel greens and a gentle slope provide ease to a golfer’s stroke. The coastal scenery of this Myrtle Beach golf course is breathtaking. Be careful not to be distracted as you play the Par 3’s at the back nines. The 13th hole is surrounded by marshland and has a reputation for challenging all golfers. Located at the southern end of the Grand Strand, this plantation golf resort offers a professional clubhouse, restaurant, pro shop, golf school, and more amenities. After you finish playing 18 holes, head into the restaurant where you can enjoy a cool beverage. 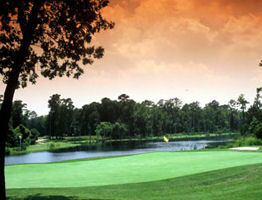 Pawleys Plantation Golf and Country Club also offer a variety of tee times to fit any schedule. Need accommodations, great food, and a full day of challenging and rewarding golf? Then this is your course! The best golf tee times can be found here. I like this course. Fairways, bunkers and greens all in very good shape. Nice clubhouse and the staff was great. Very scenic course with some history. I'd rate it a 8 out of 10. Absolutely a sleeper. The greens are unbelievably good. Not a bad spot on any of them. I've played 200 dollar course that don't measure up to WillowBrook, can you say Caledonia. Serious value for the cost. Great course. One of the best in Pawleys Island. Great service. Lots of wildlife. Beautiful course! One of the prettiest we’ve played! Excellent customer service as well. Course in great shape! Reasonable course if you can hit your drives and fairway woods. Not a terribly difficult course. Nice golf course, greens were fast which I like. I didn't score to well, hit every trap I looked at. Enjoyed the day and the two gators that were sunning themselves. Beautiful course. Definitely adding it to the yearly trip. A challenging, but fair course. A beautiful setting. If you like fast greens, this one's for you. My friends and I had a very disturbing experience at this course. Several men were playing behind us and hit into us four times on the back nine . They admitted it was done on purpose even though we were playing in a timely fashion and could not have played faster. Eighteen holes played in less than 4 hours is more than reasonable. As females, we have experienced discrimination on golf courses. This has been rare, and it was disturbing to experience this. The staff seemed totally disinterested in hearing complaints or aiding us. It is a beautiful course, but we will not consider golfing there again. Beautiful golf course in excellent condition. One of the best in the area! We booked online for 52.00 for a morning tee time through their website. Course is fair and fun to play. However, expect cart path only and the greens were just top dressed and probably won’t be healed up for a couple of weeks. The bunkers were also not raked and wet. They didn’t tell us about any of that prior to booking so needless to say, we felt like they left us in a pickle. this golf course is in good shape, with a forgiving layout, but lots of hazard. The clubhouse is in a picturesque location under several old growth trees. The staff is friendly and welcoming. Minor details keep this course from earning five stars. The difference between a four and a five in Myrtle Beach is usually minor stuff. This four misses the cut by less than most. Take the trip to Willbrook. You won't be sorry. I played Willbrook on 6/22/2018 after searching for a nicer course on the south side of Myrtle. Many reviews spoke of so many courses with horrible greens after the cold March. I found Willbrook to be in excellent shape. The course is gorgeous, challenging, but very fair. There is enough mix of water, sand, and strategically placed mossy oaks to get in your head if you let them. Most of the landing areas are wide; greens are very nice. I would highly recommend giving Willbrook a try if haven’t. Course was in great shape and staff was friendly and helpful. Play was about 4 hours for 18 holes. Price was very reasonable as well. We will come back to play this course again. Great golf course , quite scenic ,wildlife everywhere .Love the pro shop and restaurant ,chili dogs are outstanding. Bring plenty of golf balls because the water is definitely in play. If you live in South Carolina consider joining prime times as there are great courses everywhere and you can get preference on rates and tee times. The Pawleys Plantation Golf and Country Club is a reflection of plantation golf at its best.